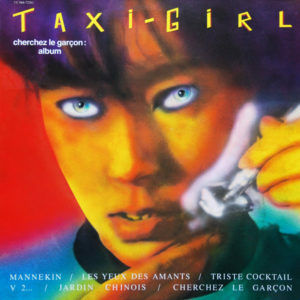 Today’s upload was graciously donated by Chino and features French new wave act Taxi Girl and their 1980 debut Cherchez le Garçon (which seems to be an early collection of singles named after one of their 12” releases). 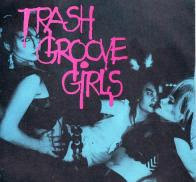 Taxi Girl formed in 1978 and over the course of 8 years, released one full length record and five mini-LPs. 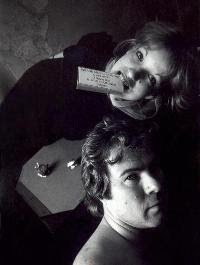 The band developed a bit of a cult following due to their singles ‘S.O.S Mannekin’ and ‘Cherchez le Garçon,’ both of which are included below. After releasing their lone full length in 1981, keyboardist Laurent Sinclair departed, while remaining members Daniel Darc and Mirwais continued Taxi Girl with a shift in musical style. The revamped lineup lasted three more years before disbanding. Darc, the vocalist, persued a solo career while guitarist Mirwais went on to produce Madonna’s Music and American Life. If your French is up to snuff, check out the band’s official site for more information, including current whereabouts and projects of Taxi Girl members. There’s even a forum, if you’re feeling saucy. 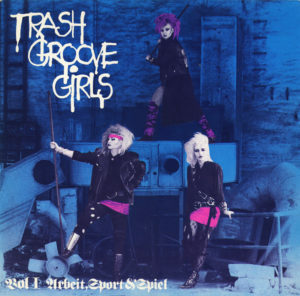 The Trash Groove Girls were a three piece gothic/new wave act who I believe hailed from Germany and were active in the mid 1980s. The lineup consisted of Katinka Päkel on vocals, Simone Stepputat on guitar, and Barbara Matzner on keyboards, all other instruments pre-programmed by the trio. 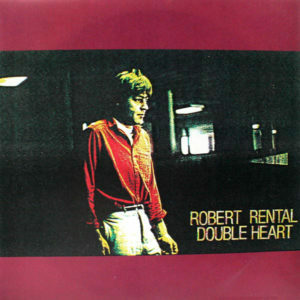 The band released one full-length record, two singles, and one Mini-LP/EP, the latter which I’ve uploaded below. 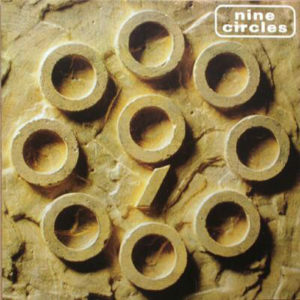 Some of you may have seen this one on Mutant Sounds*, but if not, here’s some classic female-fronted minimal synth for you folks, the lone release by Netherlands based band Nine Circles. The self-titled disc was released in 1996 but is comprised of tracks recorded in 1982. Though the band’s material scattered across various compilation appearances, it took 14 years for this collection to surface, and there’s little information about this band to be found otherwise. In other news, a few folks have been kind and generous to donate hard-to-find releases over the past few days, so if you’re keen, I’ll work on posting them up here with all the appropriate information soon. If you’re impatient, feel free to scour the comments from the last few entries and pluck ’em out! *I am admittedly crap about checking every blog to see what’s been posted, but in all fairness, Mutant Sounds is a vast ocean, so I didn’t realise they tossed this same compilation up until after I uploaded it. Nuts! 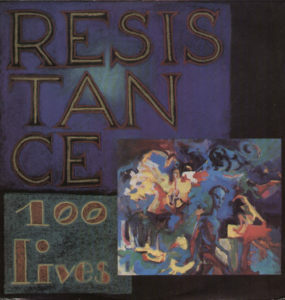 Fulfulling a request to finish out the week…Today’s post features French coldwave greats Résistance and their second LP, 1989’s 100 Lives. I’m unable to dig up further information about the band (let alone a proper picture), so should anyone have any to contribute, feel free to leave it in the comments box and I shall amend with due credit and thanks. Uploaded this for a friend this morning, and figured I’d share it here as well. 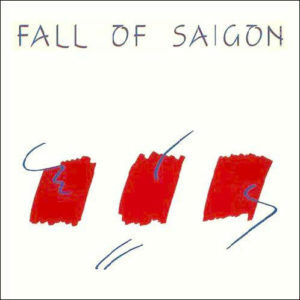 Linked below is the lone release by French minimal pop project Fall of Saigon, who walked in similar territory as the classic Young Marble Giants. Think very minimal drum machine patterns, scattered bass and guitar, toy pianos, and direct vocals, both male and female. 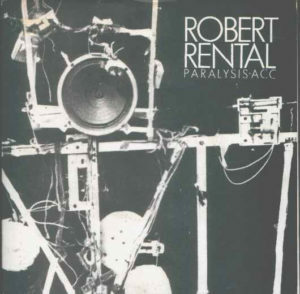 This 12” was released in 1983, and information about it and respective collaborators is scarce, with the exception of Pascal Comelade, who remains a prominent French musician to this day. His own works consist of wild instrumental pieces (some of which tread similar sonic territory as the Fall of Saigon material), while his collaborations span genres, including work with Faust and PJ Harvey. *DOWNLOAD LINK REMOVED* Click here to purchase a reissue of these tracks (and more) from Gazul/Musea Records. Vinyl also available via Dark Entries records! I’ve been trying to track down some of your most recent requests…However, I’m unable to find the specific records some of you have asked for. Mostly, I’ve tracked down a few Guerre Froide releases, but not the Cicatrice cassette. Stay tuned for some of the other requests tomorrow/next week. 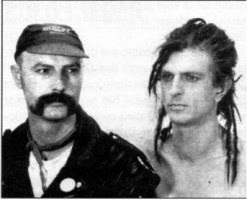 Borghesia were a Slovenic electronic/wave band, formed from an existing theatre group in 1982. Both their performances and music touched on repressed themes and taboo subjects, combining this content with a dark synthetic backdrop. They were lumped in with the budding EBM (electronic body music) movement, yet their first record has more in common with the minimal wave sound. *DOWNLOAD LINK REMOVED* – you can now get a remastered copy of this LP via the always excellent DARK ENTRIES label, an awesome reissue label based out of the west coast. Click here for more info! *DOWNLOAD LINK REMOVED* – this has been reissued on both LP and digital! Seek it out! 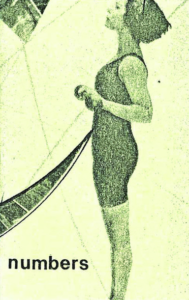 In case you missed it, the previous Absolute Body Control post can be found here. Otherwise, stay tuned until next week, and feel free to drop any requests in the meanwhile. This one’s an old favorite of mine. 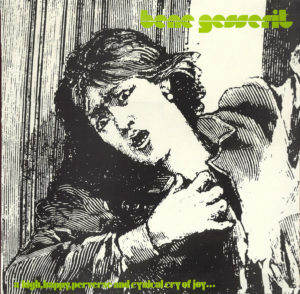 Today’s post features an experimental/minimal band from Belgium named Bene Gesserit and their first record A High, Happy, Perverse, and Cynical Cry of Joy, released in 1984. Taking their name from a religious race of humans from Frank Herbert’s Dune series, Bene Gesserit was formed in 1981 by Alain Neffe, a pioneer in the Belgian industrial scene. Joined by Nadine Bal, the pair would record a series of live cassettes and three records under psuedonyms (B. Ghoula and Benedict G., respectively). 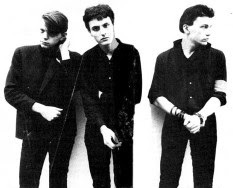 Their sound combined both the experimental edge of industrial music and the slick synthesized sound of minimal synth, a curious and innovative hybrid that earned the band a decent following and cult status to this day. *DOWNLOAD LINK REMOVED* Official CD reissue coming March 2012 via EE Tapes. Here’s some classic cream-of-the-crop minimal synth to wrap up this week, especially relevant as this band has just reactivated and is playing in the US this very moment. 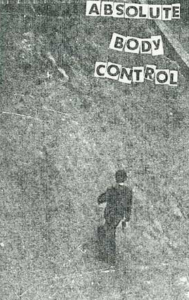 I’ve uploaded a rare cassette release by Belgian act Absolute Body Control, whose origins date back to early 1980. The band featured a slightly rotating lineup throughout their early years, driven by Dirk Ivans. 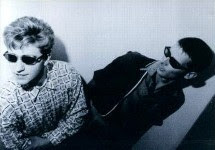 Pairing down from a three piece, the main contributors are Dirk and Eric van Wonterghem, a fan who joined shortly after the band released its first single. 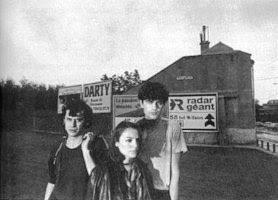 Absolute Body Control were among the first wave of Belgian electronic acts, and they developed a substantial cult following both on record and on stage. In 1984, Dirk formed the Klinik, yet Absolute Body Control continued releasing cassettes until 1993, which saw the release of their lone compact disc, Eat This. The band was mostly inactive even before that and officially folded just after its release. However, demand in the new millennium led to several reissues of the band’s back catalog as well as several live festival appearances. Just recently A.B.C. took to the studio to re-record 13 of their best tracks, released as the Wind(re)Wind LP. An EP of new material was also released this year, and both will be available to purchase through iTunes and Amazon by June, though CD copies are now for sale through various outlets. *DOWNLOAD LINK REMOVED* – reissued as a digital release via Bandcamp!